Yet another small article on my passion for going beyond tables for most sports stats. 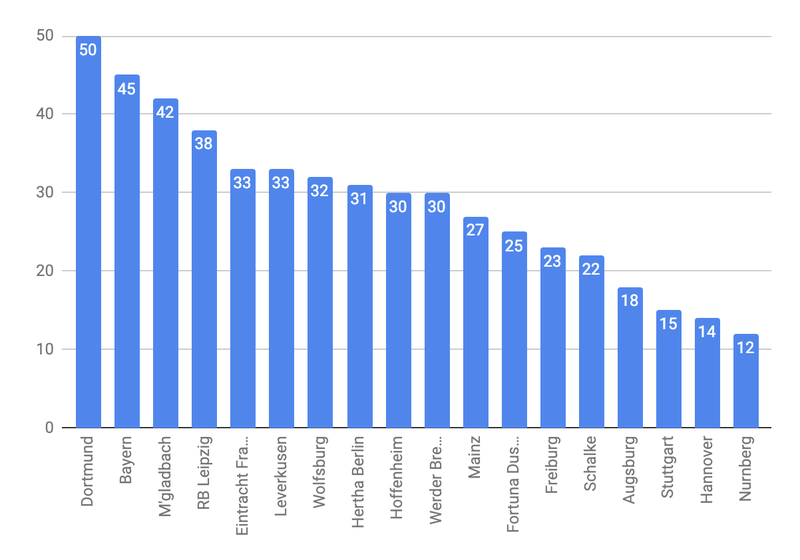 European Leagues, 4 with 20 teams and 2 with 18 still, Bundesliga. If we look at the shape of the standings comparatively, you immediately notice those different cases. 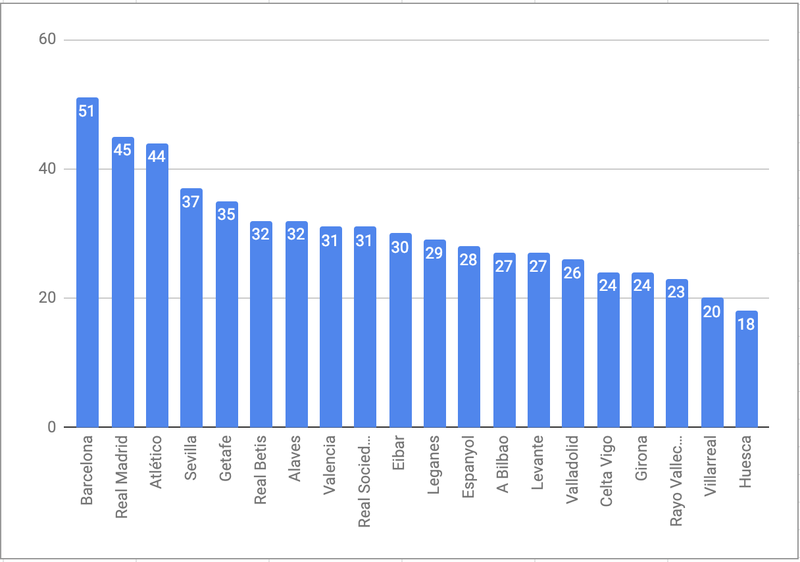 One team with strong leadership, Italy and France (-11 and -10 from the second team), quite balanced after the top group Spain, similar to Germany and quite extreme England. La Liga has 10 teams in 6 points. 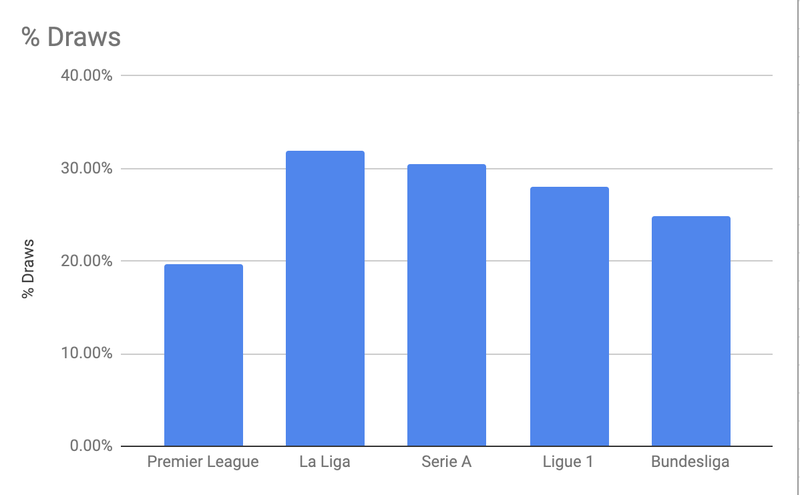 If we analyze the same standing by focusing on the % of draws against matches with a winner we have quite a different scenario for the 5 top leagues. 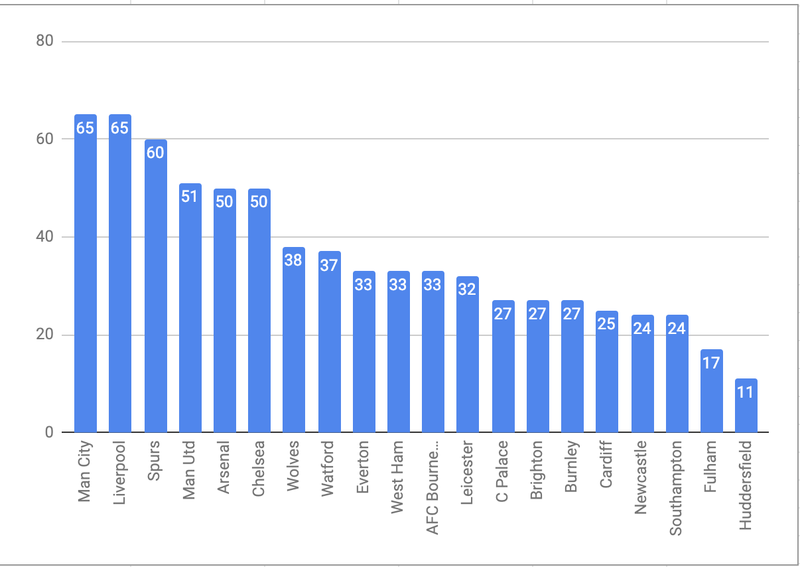 Premier League seems to be the most fun league — if we assume draws are boring — or in any case, the league where a draw is not an option, teams want to win. La Liga is on the opposite side of the scale. When you look at the distribution team by team, some notable cases take our attention. 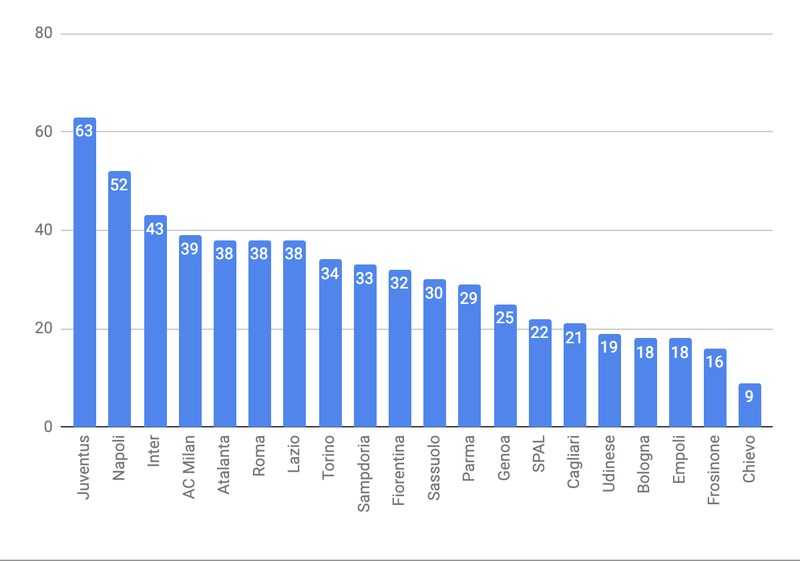 Tottenham Hotspur never has drawn a match this season, Juventus never have lost a game this season, Valencia is the team with most draws in Europe, Chievo only won 1 game. 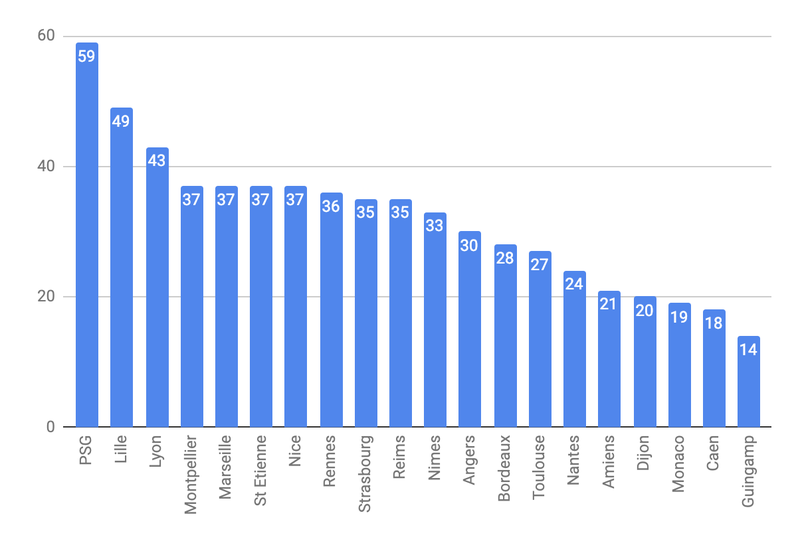 If we look at each league these are the specific charts for each standing they tell a story and can show better than a table the real situation. Would it be a visualization that people understand and get used to? We will need to add the UCL and Europa League and lower national league qualification.